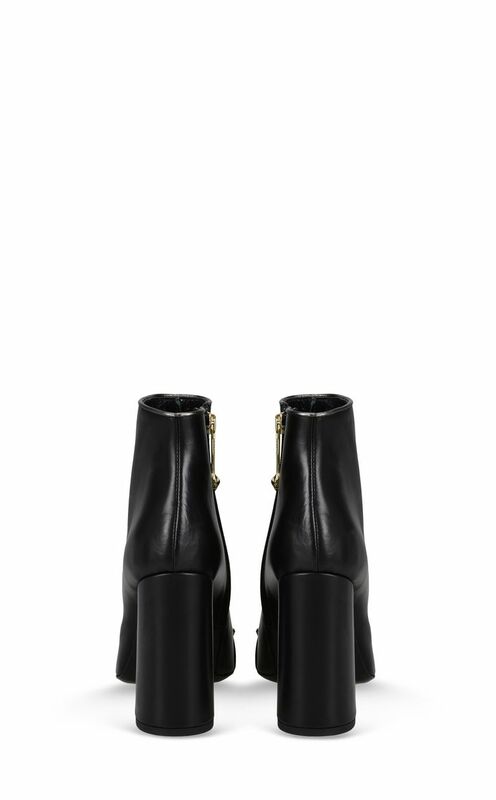 High leather ankle boot. 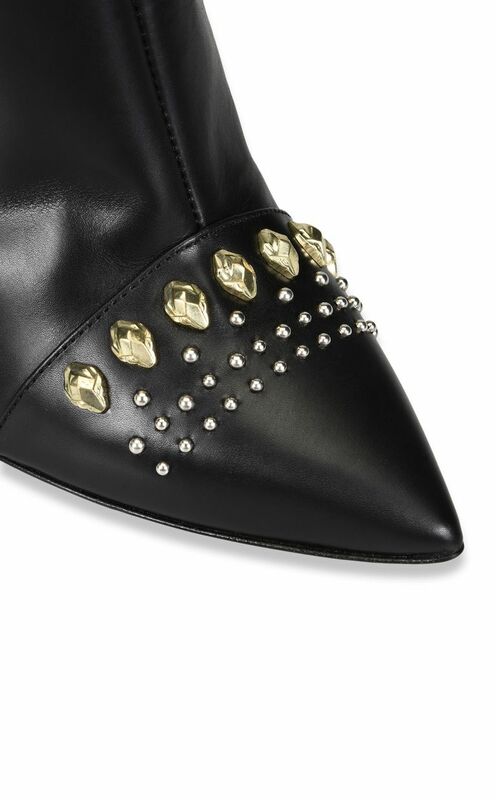 A classic silhouette, adorned at the toe with three lines of studs in varying sizes. 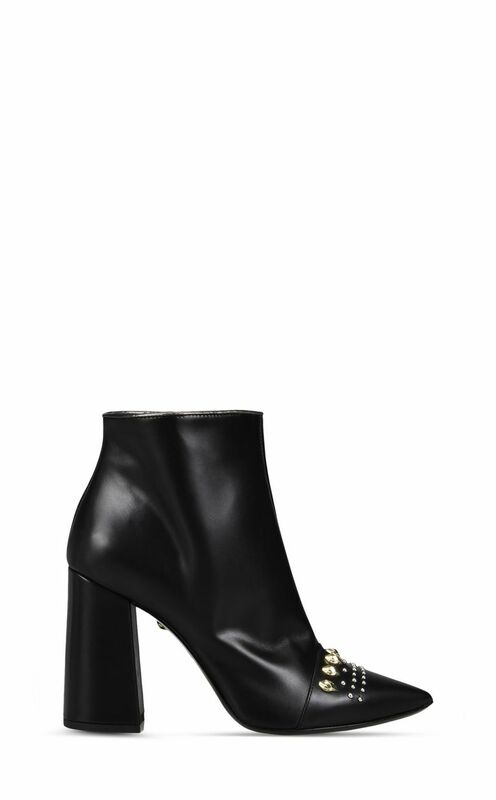 Styled with a slightly recessed block heel for comfort. The classic must-have piece for the active fashionista's wardrobe.